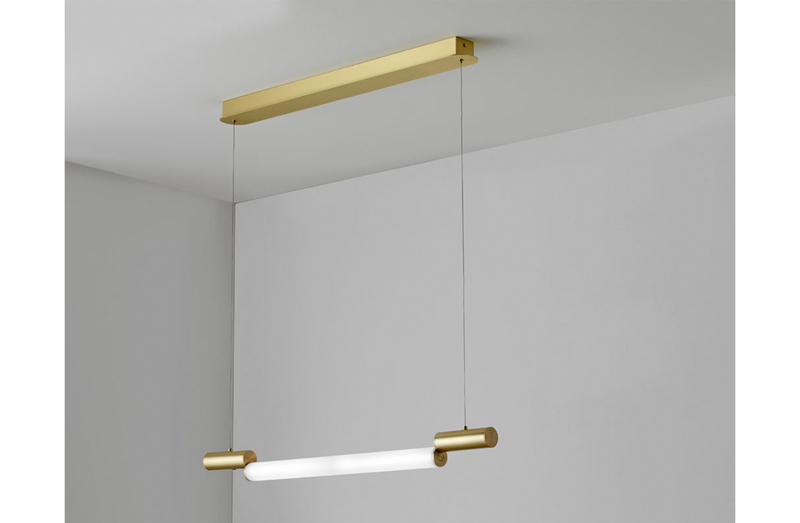 Pendant with structure in brass in a choice of finishes. LED lamping. Please see ADDITIONAL SPECS for sketch.